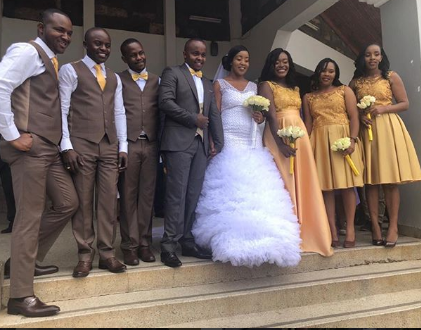 K24 Swahili news anchor Nancy Onyancha and editor Job Mwaura walked down aisle in an exquisite white wedding ceremony last weekend. The wedding was their second after the couple did a traditional one almost 8 months ago. The wedding was was low-key and was not surrounded by hype and social media posts like most other celebrity weddings. 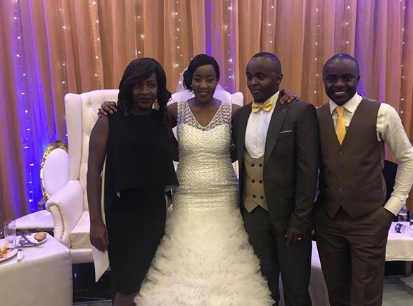 K24 Business anchor Zawadi Mudibo was among the first to inform Kenyans that the two had exchanged vows. “Bravo to my two great friends @nancyonyanchaand @joabmwaura you are now one! Mr. & Mrs. Joab Mwaura. Welcome to the club and may the good lord bless your union. So humbled to be a part of this great moment in your lives,” read Zawadi’s post. 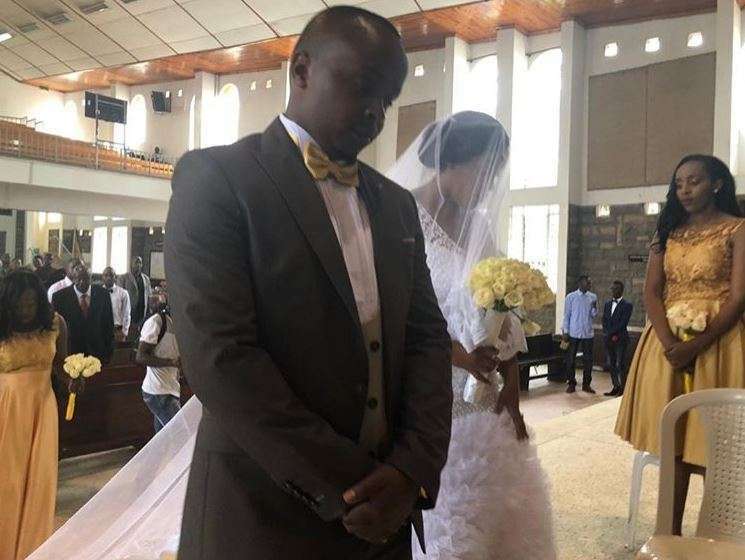 Mwaura also sang Bahati’s song to her lovely wife after exchanging the vows. Bahati performed in the wedding and was among the few celebrities who made an appearance. Fans were impressed of how Maura knew Bahati’s lyrics. He even joked that he’s ready to join his record label.